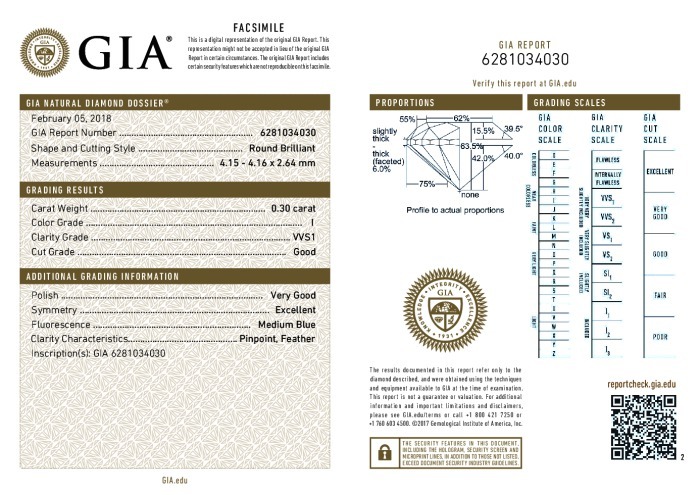 This Good-cut, I-color, and VVS1-clarity diamond comes with a diamond grading report from GIA, 30 day inspection period, free FedEx Overnight insured shipping and lifetime upgrade policy. 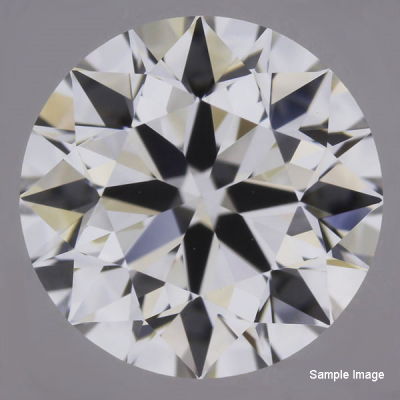 Diamonds in this clarity grade range (very very slightly included) may contain the tiniest of inclusions that are hard to find even under high magnification. 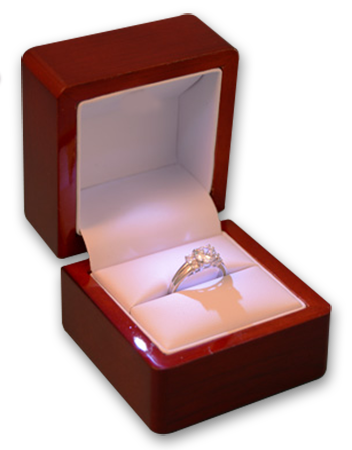 These diamonds are considered to be of an excellent quality and are highly sought after.